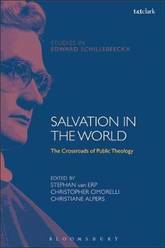 What happens when Edward Schillebeeckx's theology crosses paths with contemporary public theology? 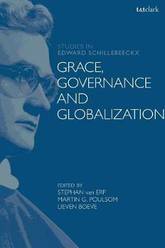 This volume examines the theological heritage that Schillebeeckx has left behind, as well as it critically assesses its relevance for temporary theological scene. In tracing the way(s) in which Schillebeeckx observed and examined his own context's increasing secularization and concomitant development toward atheism, the contributors to this volume indicate the potential directions for a contemporary public theology that pursues the path which Schillebeeckx has trodden. The essays in the first part of this volume indicate a different theological self-critique undertaken in response to developments in the public sphere. 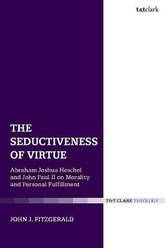 This is followed by a thorough examination of the degree to which Schillebeeckx succeeded in leading Christian theology ahead without merely accommodating the Christian tradition to current societal trends. The third part of the volume discusses the issues of climate change, social conceptions of progress, as well as the evolutionary understandings of the origins and purpose of religions. The final part examines Schillebeeckx's soteriology to contemporary discussions about wholeness. Nigel Zimmermann presents critical reflections from leading Catholic prelates and scholars on the significance of the Second Vatican Council fifty years after it began. These include two senior Cardinals, one of whom is the head of the Congregation of Bishops and the other a member of Pope Francis' new advisory body on reforming the Roman Curia, as well as Prefect of the Secretariat for the Economy. Together with thinkers from North America, the UK, Rome and Australia, they take up key themes from the Conciliar documents and assess the reception of the Council half a century on from its inception. In doing so, they open up new avenues for thinking through the authentic witness and teaching of the most important ecclesiastical event of the twentieth century. These avenues include discussion of themes such as the liturgy, communio, the Council in its historical context, the role of the laity, communicating the Council in a social media world, and the task of mission in the future. This volume marks a turning point in the Council's reception in the wider Church. Authorship is a complicated subject in Kierkegaard's work, which he surely recognized, given his late attempts to explain himself in On My Work as an Author.  From the use of multiple pseudonyms and antonyms, to contributions across a spectrum of media and genres, issues of authorship abound. Why did Kierkegaard write in the ways he did? Before we assess Kierkegaard's famous thoughts on faith or love, or the relationship between 'the aesthetic,' 'the ethical,' and 'the religious,' we must approach how he expressed them. Given the multi-authored nature of his works, can we find a view or voice that is definitively Kierkegaard's own? Can entries in his unpublished journals and notebooks tell us what Kierkegaard himself thought? How should contemporary readers understand inconsistencies or contradictions between differently named authors? We cannot make definitive claims about Kierkegaard's work as a thinker without understanding Kierkegaard's work as an author. This collection, by leading contemporary Kierkegaard scholars, is the first to systematically examine the divisive question and practice of authorship in Kierkegaard from philosophical, literary and theological perspectives. What role does, could or should theology play in current discussions about our political realities? Is there a place for theological worldviews in the public conversation about policy making? Should theology critically unmask the underlying theological and metaphysical sources of contemporary politics? The contributors to this volume reflect on new questions in public and political theology, inspired by the theology of Edward Schillebeeckx. They discuss a variety of theological traditions and theories that could offer substantial contributions to current political challenges, and debate whether theology should contribute to the liberation of communities of poor and suffering people. The dominant contemporary model for ecclesiology (theological views of the church itself) is the ecclesiology of communion. MacDougall argues that communion ecclesiologies are often marked by a problematic theological imagination of the future (eschatology). He argues further that, as a result, our ways of practising and being the church are not as robust as they might otherwise be. Re-imagining the church in the light of God's promised future, then, becomes a critical conceptual and practical task. 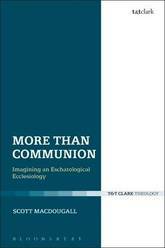 MacDougall presents a detailed exploration of what communion ecclesiologies are and some of the problems they raise. He offers two case studies of such theologies by examining how distinguished theologians John Zizioulas and John Milbank understand the church and the future, how these combine in their work, and the conceptual and practical implications of their perspectives. He then offers an alternative theological view and demonstrates the effects that such a shift would have. In doing so, MacDougall offers a proposal for recovering the 'more' to communion and to ecclesiology to help us imagine a church that is not beyond the world (as in Zizioulas) or over against the world (as in Milbank), but in and for the world in love and service. This concept is worked out in conversation with systematic theologians such as Jurgen Moltmann, Wolfhart Pannenberg, and Johannes Baptist Metz, and by engaging with a theology of Christian practices currently being developed by practical theologians such as Dorothy C. Bass, Craig Dykstra, and those associated with their ongoing project. The potential for the church to become an agent of discipleship, love, and service can best be realised when the church anticipates God's promised perfection in the full communion between God and humanity, among human beings, within human persons, and between humanity and the rest of creation. The Kierkegaardian account of becoming a Christian has come to be perceived in radically egocentric terms. Torrance challenges this perception by demonstrating that Kierkegaard was devoted to the idea of Christian conversion as a transformative process of becoming. This process is grounded in an active relationship initiated by the eternal God who has established kinship with us in time. 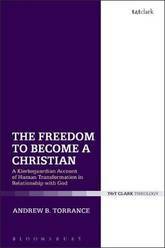 Torrance focuses on 'becoming a Christian' as a particular theological theme that deserves further attention - how 'becoming a Christian' or Christian transformation should be construed in relation to God's initiating and active relationship to the person. 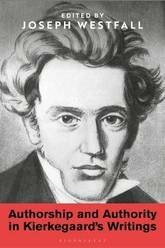 Torrance's account of Kierkegaard on human transformation demonstrates in striking ways Kierkegaard's relevance to current issues in systematic theology and philosophical theology around the nature of Christian conversion, particularly how conversion might be re-conceptualized in strong divinely-relational and transformative rather than in progressive self-developmental terms. 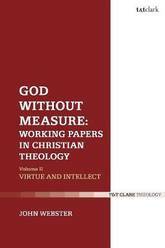 This study also considers how Kierkegaard was able to negotiate his emphasis on the God-relationship with his emphasis on the importance of individual reflection, decision and action in the Christian life. In this two volume collection of essays, which forms a companion to The Domain of the Word, John Webster brings together studies of a range of topics in dogmatic and moral theology. This first volume, God and the Works of God, treats the themes of God's inner being and God's outer acts. After an overall account of the relation between God in himself and the economy of God's external works, there are studies of the divine aseity and of the theology of the eternal Son. These are followed by a set of essays on creation out of nothing; the relation between God and God's creatures; the nature of providence; the relation of soteriology and the doctrine of God; and the place of teaching about justification in Christian theology. Each of the essays explores the relation of theology proper to economy, and together they pose an understanding of Christian doctrine in which all theological teaching flows from the doctrine of the immanent Trinity. The last two decades have witnessed the growing participation in theological dialogues of non-institutional (free church) movements. This poses a serious challenge to 21st century ecumenism, since ecclesial realities and internal diversity of these movements impede fruitful dialogue in the classical manner. 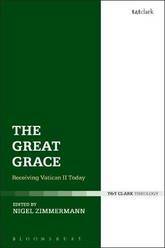 The present volume addresses fundamental aspects of this challenge by a critical study of an exemplary case of such dialogues, the International Roman Catholic-Classical Pentecostal Dialogue (1972-2007). 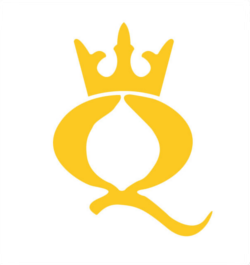 This unique study builds both on primary archival sources and on earlier research on the IRCCPD. After providing an ecumenical profile of the Classical Pentecostal dialogue partner, Creemers demonstrates how fair representation of the Classical Pentecostal movement has been pursued in the course of the dialogue. Next, he gives attention to the ecumenical method of the IRCCPD. 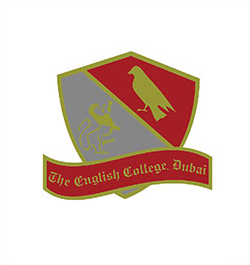 First, the development of a dialogue method hinging on hard questions is traced, which has allowed a balanced theological exchange between the dialogue partners. Regarding theological method, it is demonstrated that both partners showed a willingness to experiment together by integrating sources of theological knowledge typically distrusted in their own traditions. In conclusion, the analyses are integrated in an overview of challenges and opportunities for dialogue with the Classical Pentecostal movement in the context of ongoing discussions on ecumenical method. 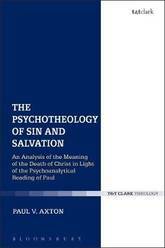 Through the employment of the work of Slavoj Zizek and his engagement with the Apostle Paul, Axton argues that Paul in Romans 6-8 understands sin as a lie grounding the subject outside of Christ, and salvation is an exposure and displacement of this lie. The theological significance of Zizek (along with Sigmund Freud and Jacques Lacan) is his demonstration of the pervasive and systemic nature of this lie and its description as he finds it in Romans 7. The specific overlap of the two disciplines of psychology and theology is found in the psychoanalytic understanding that the human Subject or the psyche is structured in three registers: the symbolic, the imaginary and the real. These three registers function like a lie analogous to the Pauline categories of law, ego, and the 'body of death' which constitute Paul's dynamic of sin's deception. Axton argues that if sin is understood as a lie grounding the Subject, the exposure of the lie or the dispelling of any notion of mystery connected to sin is integral to salvation and the reconstructing of the Subject in Christ. While the lie of sin is mediated by the law, new life in the Spirit is not through the law but is a principle unto itself, which though it accounts for the law, is beyond the law. 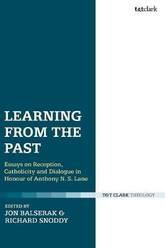 This collection of essays in honour of Anthony N. S. Lane has two main foci, picking up themes which resonate with some of Lane's most important work. The first broad theme is the reception of the thought of earlier generations of biblical interpreters and theologians. The essays here explore various facets of reception history-textual transmission, the identification of editions used, the deployment of these sources in doctrinal formulation, in polemic, and in relation to the contested site of 'catholicity'. The second broad theme is engagement with other confessional identities and allegiances. The essays presented here shed light on the past and stimulate contemporary theological reflection. This innovative volume focuses on the significance of early Christianity for modern means of addressing poverty, by offering a rigorous study of deprivation and its alleviation in both earliest Christianity and today's world. The contributors seek to present the complex ways in which early Christian ideas and practices relate to modern ideas and practices, and vice versa. In this light, the book covers seven major areas of poverty and its causes, benefaction, patronage, donation, wealth and dehumanization, `the undeserving poor', and responsibility. 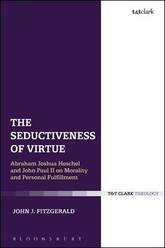 Each area features an expert in early Christianity in its Jewish and Graeco-Roman settings, paired with an expert in modern strategies for addressing poverty and benefaction; each author engages with the same topic from their respective area of expertise, and responds to their partner's essay. Giving careful attention toboth the continuities and discontinuities between the ancient world and today, the contributors seek to inform and engage church leaders, those working in NGOs concerned with poverty, and all interested in these crucial issues, both Christian and not. Originally published in German in 1938, this highly acclaimed volume presents more than one thousand selections from the various extant writings of Origen, the great Alexandrian theologian. 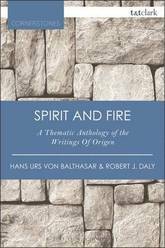 Robert J. Daly, S.J., has re-translated the majority of these texts from the original Greek and Latin, added the scriptural references in the translated texts and an index, and included updated bibliographical information. This volume comprises thoughts of one of the greatest of ancient theologians as seen through the eyes of an almost equally prolific successor in the same central Christian enterprise. The book remains a great resource for anyone interested in patristic theology, early Christian mysticism, and early interpretation of Scripture. This Cornerstones edition has a new introduction written by Robert J. Daly, S.J. 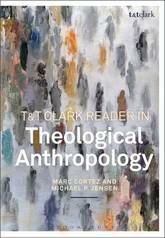 This reader guides students through this difficult topic, with seven chapters representing an in-depth treatment of a sub-topic within theological anthropology. Starting with an overview and specific methods for this subject, the overall discussion focuses on the exegetical-theological problem of the imago dei. 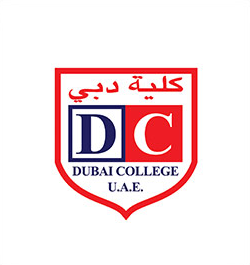 The following chapters offer examination of topics such as: human ontology, freedom and limit, gender and sexuality, personhood and identity and worship and desire. Throughout this reader, the editors include texts from the patristic, medieval, Reformation and modern eras, while also providing a blend of bible commentary, theological discourse and philosophy. The texts used for this study include thinkers such as Gregory of Nyssa, Kathryn Tanner, Karl Barth, Augustine, Martin Luther, John Paul II, Sarah Coakley and David Kelsey. Each chapter contains an introduction, research/discussion questions and suggestions for further reading. 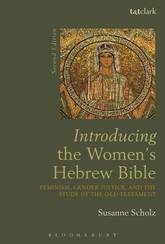 Introducing the Women's Hebrew Bible is an up-to-date feminist introduction to the historical, socio-political, and academic developments of feminist biblical scholarship. In the second edition of this popular text Susanne Scholz offers new insights into the diverse field of feminist studies on the Hebrew Bible. Scholz provides a new introductory survey of the history of feminism more broadly, giving context to its rise in biblical studies, before looking at the history and issues as they relate specifically to feminist readings and readers of the Hebrew Bible. Scholz then presents the life and work of several influential feminist scholars of the Bible, outlining their career paths and the characteristics of their work. The volume also outlines how to relate the Bible to sexual violence and feminist postcolonial demands. 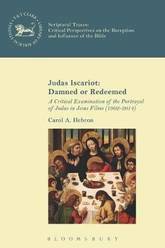 Two new chapters further delineate recent developments in feminist biblical studies. One chapter addresses the relationship between feminist exegesis and queer theory as well as masculinity studies. Another chapter problematizes the gender discourse as it has emerged in the Christian Right's approaches to the Old Testament. Jean-Paul Sartre was one of the twentieth century's most prominent atheists. But his philosophy was informed by theological writers and themes in ways that have not previously been acknowledged. 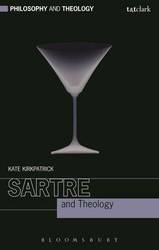 In Sartre and Theology, Kirkpatrick examines Sartre's philosophical formation and rarely discussed early work, demonstrating how, and which, theology shaped Sartre's thinking. She also shows that Sartre's philosophy - especially Being and Nothingness and Existentialism is A Humanism - contributed to several prominent twentieth-century theologies, examining Catholic, Protestant, Orthodox, and Liberation theologians's rebuttals and appropriations of Sartre. For philosophers, this work opens up an unmined vein of influence on Sartre's work which illuminates his conceptual divergences from the German phenomenological tradition. And for theologians, it offers insights into a theologically informed atheism which provoked responses from some of the twentieth-century's greatest theologians - an atheism from which we can still learn much today. Jean-Paul Sartre was one of the twentieth century's most prominent atheists. But his philosophy was informed by theological writers and themes in ways that have not previously been acknowledged. In Sartre and Theology, Kirkpatrick examines Sartre's philosophical formation and rarely discussed early work, demonstrating how, and which, theology shaped Sartre's thinking. She also shows that Sartre's philosophy - especially Being and Nothingness and Existentialism is A Humanism - contributed to several prominent twentieth-century theologies, examining Catholic, Protestant, Orthodox, and Liberation theologians rebuttals and appropriations of Sartre. For philosophers, this work opens up an unmined vein of influence on Sartre's work which illuminates his conceptual divergences from the German phenomenological tradition. And for theologians, it offers insights into a theologically informed atheism which provoked responses from some of the twentieth-century's greatest theologians - an atheism from which we can still learn much today. This addition to our popular Guides for the Perplexed series tackles a subject that is enjoying renewed debate: Christianity, along with Judaism and Islam, claims that the universe is not a brute fact. It is 'created'. 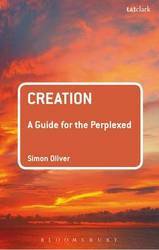 But what do we mean by 'creation'? Do we mean that the universe is 'designed'? Is it the product of an evolutionary process? How are creatures related to God, and does God act within creation? Simon Oliver begins with the background to the Christian theology of creation in Greek philosophy and the Old Testament. This provides a route into understanding the claim that we are part of a created order that is also the theatre of God's providential action. He examines different understandings of creation, including creation out of nothing and the analogy of being, with close reference to the work of patristic and medieval theologians such as Augustine and Thomas Aquinas. This leads to an historical overview of the relationship between theological, philosophical and scientific approaches to creation in the modern period. Some of the ethical issues concerning humanity's place within, and treatment of, creation and our environment are also examined. 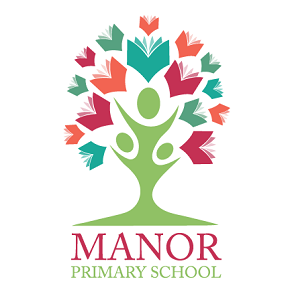 A distinctive yet traditional theology of creation is proposed focused on the concepts of gift and participation as ways of understanding more fully the meaning and implications of the claim that the universe is created. 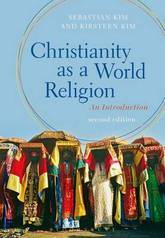 Now in its second edition, Christianity as a World Religion locates Christianity within its global context. Structured by geographical region, it covers Asia, Africa, Europe, Latin America and the Caribbean, North America, and Oceania. It deals with four dimensions of Christianity in each context: Christian history, churches and society, interreligious relations, and distinctive worship and theology. 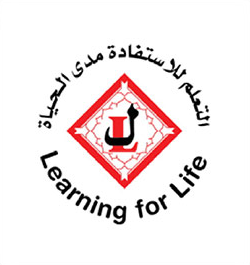 Study questions and further reading suggestions are provided in each chapter. Fully updated throughout, this second edition now includes: - A new chapter covering Christianity in Oceania - Further analysis of the early growth of Christianity in Asia and Africa - Coverage of research trends in migration, theologies of prosperity, and the role of local agents in evangelization - Coverage of global interconnections and networks, new movements, global Catholicism, Christian political engagement and persecution of Christian communities - A thorough revision of the conclusion, including reflection on the discipline of world Christianity and its implications for theology - 40 images and maps - Chapter summaries - Extra resources online including a timeline and weblinks - New text design and layout, making the text more student-friendly and accessible Christianity as a World Religion is ideal for courses on World Christianity, Christianity as a Global Religion, the History of Christianity and contemporary Christian theology. This exciting volume brings together a wide range of perspectives on one of the most important and challenging areas of modern theology. 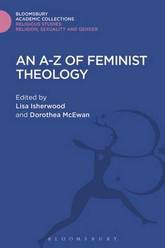 There are entries on all the major themes of Christian feminist theology, including models of God and of the Church, ethics and spirituality, sexuality and liberation. 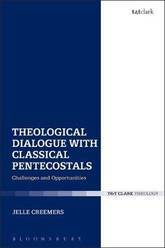 Many of the entries push their respective discussions beyond the rigid boundaries of previous theological discourse. Together they present the far-reaching concerns of feminist theology in an accessible and stimulating way. The compendium is both a resource and an inspiration for scholars and students of feminist theology and for all those who are interested in this field of reflection and activity. This volume deploys theology in a reconstructive approach to contemporary literary criticism, to validate and exemplify theological readings of literary texts as a creative exercise. It engages in a dialogue with interdisciplinary approaches to literature in which theology is alert and responsive to the challenges following postmodernism and postmodern literary criticism. It demonstrates the scope and explanatory power of theological readings across various texts and literary genres. 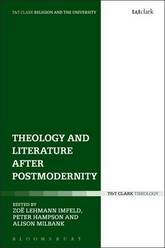 Theology and Literature after Postmodernity explores a reconstructive approach to reading and literary study in the university setting, with contributions from interdisciplinary scholars worldwide. Herbert McCabe OP was one of the most intelligent Roman Catholic thinkers of the 20th century, whose writings have enjoyed enormous and welcome success. A significant influence on philosophers such as Anthony Kenny and Alasdair McIntyre, McCabe also counted amongst his friends Seamus Heaney and Terry Eagleton, and moved amongst the literary elite. 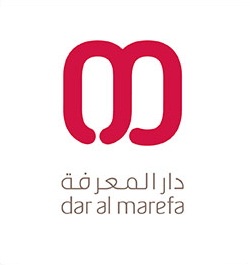 His wide personal interests are reflected in his writings, which cover a broad range of topics. In this reader we glimpse an insight into the workings of a brilliant mind occupied by topics including the philosophy of God and Christian doctrine, ethics and moral theology, the problem of evil, the philosophical theology of St Thomas Aquinas, the traditional catholic concern for prayer, liturgy, Mary and St Dominic. 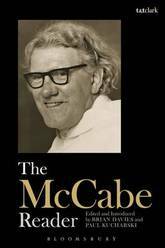 Further musings reflect on issues that interested McCabe the most - philosophy of God, Christology, fundamental and sacramental theology, and ethics. Edited by Brian Davies and Paul Kucharski, two well known McCabe specialists, the selection is a gem which will be of use to any reader interested in comprehending the key issues for a thoughtful life, and also includes some of McCabe's most dazzling sermons. Robert Cummings Neville has been a consistent advocate for the necessity of global theology. Early in his career, he realized that the philosophical framework of the West alone was inadequate for a truly global theology. Since then, he has sought to develop theology creatively and responsibly within the world context. 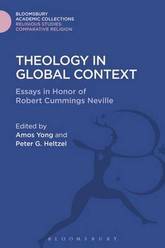 The original essays in this volume, written in his honour by fellow theologians, participate in and model the kind of dialogical, global theology embodied in Neville's work.